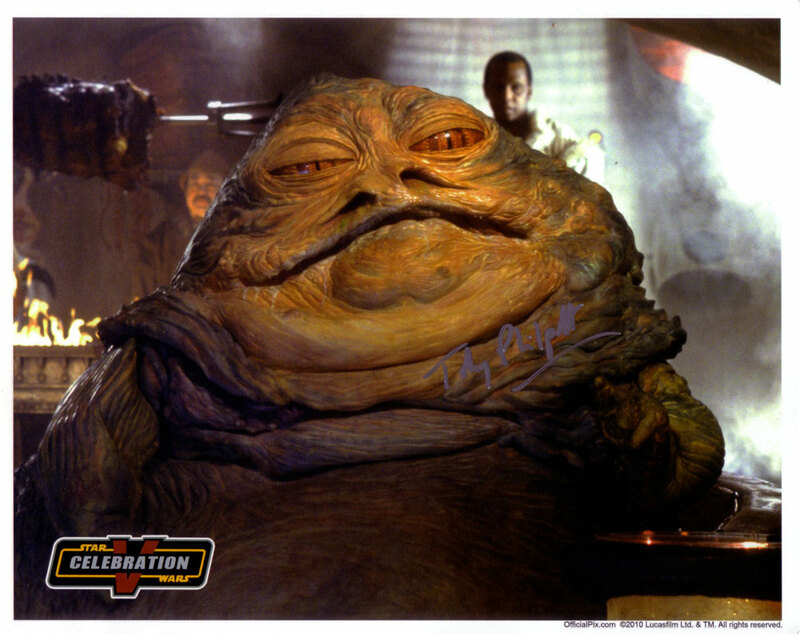 Here is an autograph by Toby Philpott (aka “Jabba’s Left-Hand Man). He was one of the puppeteers inside Jabba, controlling his left arm and tongue, and he also kindly donated a box of French chewing gum to my collection. I also conducted a short interview with Toby a couple of months ago.